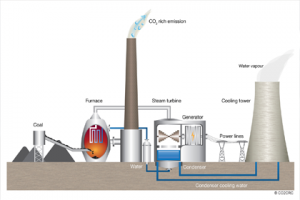 Power Plant firms one of the center areas of any economy and is the power behind quick industrialization. It is crucial to manufacturing plants, business foundations, recreational offices and homes. Absence of sufficient manpower cause problem, as well as monetary misfortune because of low productivity. The business requests for qualified experts at different levels with broad experience and complete comprehension of industry prerequisites. We, at CMC, fill in the need crevices of different associations by giving high credentialed applicants had practical experience in different measurements of the business. We have entrenched relations with every one of our customers in India and abroad and are mindful of all their labor necessities identified with the force segment. The resume is sent after an intensive assessment and in the wake of guaranteeing that the competitor’s capabilities and vocation destinations match with the general hierarchical objective and society. With our experience, mastery and systems administration in this industry, we fulfilled our customers a quick and responsive answer for their enrollment needs. We have set up notoriety for giving high bore contract and lasting work force in force and related controls. Our system of official inquiry specialists have effectively finished pursuit and enlisting assignments from the staff level completely through the official positions. Whether you need individuals or a whole group we have the experience to help you effectively draw in and select only the right ability! We are mindful of the requirement for privacy and our information bank is not imparted to whatever other association. Utilizing our watchfulness, where fundamental we introduce your resume to customers without unveiling your name and current boss. We attempt to produce the best offer for you and furnish you with all data you would require to settle on a choice.